With so many social media platforms to choose from – Facebook, Twitter, Instagram, Google +, Slide Share, Vimeo, Vine, LinkedIn, Pinterest, Flickr, StumbleUpon, Foursquare, Medium, Tumblr, Snapchat, MySpace, just to name a few – marketers must have clear, specific goals as to what they want to achieve by publishing content on each platform. What is your available marketing budget? How many staff members are you able to devote to curating content and monitoring user response? 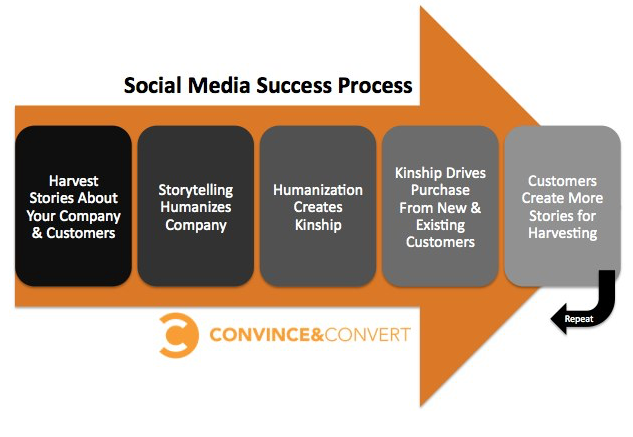 Is your company’s leadership bought-in to your social media content strategy? Where will you see the greatest impact with your target audience? Understanding the nuanced differences between each social network, and the demographics of the platform’s users, will help you better reach your market. How are your competitors engaging with customers on social media? Analysis of the effectiveness of the competition’s marketing efforts can inform your decisions. What is the desired next-action you want social “followers” on the platform to take? Measuring content messaging and performance against established goals will add purpose and value to social media marketing campaigns. Each platform has a unique demographic audience, distinct purpose, mode of engagement, and tone of communication. Chose the social platforms that your target market segment are using to connect with them in meaningful ways. I grew up with my dad repeating the adage “a job worth doing is a job worth doing well”. This maxim has apt application to social media marketing. 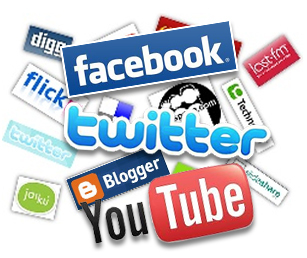 Creating a Facebook page or Twitter account is not enough for a company. Neither is it enough to add icons of popular social sites on traditional marketing collateral. If an organization is going to utilize social media as a marketing channel, they must have a clearly defined, comprehensive strategy to support the use of these tools. Buffer Social Blog: Thoughts on sharing, creating, analyzing and converting with social media. I would love to hear from you in a comment below – what resources would you add to this list? Over the past summer, I attempted tackling my lengthy reading list. 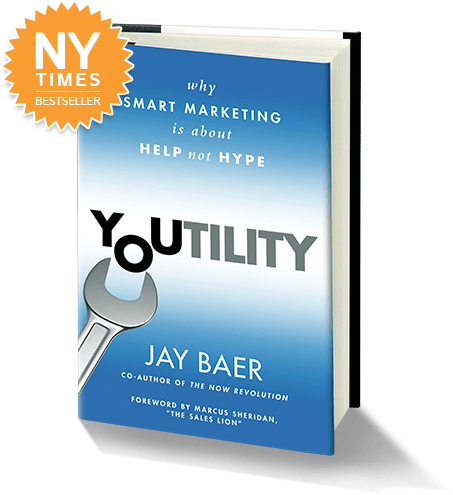 One book at the top of my list of books to read was Youtility: Why smart marketing is about help not hype by social media and content strategist Jay Baer. This best-seller was released over a year ago, during the summer of 2013. Looking back, I only wish that I had read the book sooner. Youtility transformed my way of thinking related to effectively using marketing and communications media, and I highly recommend this read to anyone in the IMC field. Youtility marketing breaks the traditional model of selling or promoting your product, but instead encourages companies to be a helpful resource for their customer or prospective customer. In an age of information overload, smart marketers are focusing their strategy on being inherently and genuinely useful in providing answers and resources to the anticipated needs of their target base. For example, Buffer is an online tool for managing multiple social media accounts. This service allows its users to create and schedule social media content. However, readers of the Buffer newsletter, blog, or social media pages are not bombarded with promotional messages to subscribe to the company’s premium service. Instead, Buffer regularly provides a wealth of knowledge related to emerging media and digital content strategy, productivity tricks and hacks, and more. Additionally, Buffer hosts weekly Twitter chats to provide participants with compelling discussion in current content marketing trends. Would Buffer be nearly as successful if they were to simply provide their service and wait for customers to flock to their website? Likely not. Buffer is a prime example of a company that is creating real-time relevancy by building relationships of trust with their customers. As Buffer, and other companies, use the principles outlined in Youtility, they will add value in the lives of their customers, and as a result will see greater engagement and an increase in business. We live in a world of increasing noise. The rise in access to the Internet (especially through the prevalence of mobile technology) has transformed the way we communicate, interact socially, and the way our economy runs. Consumers today are constantly forced to filter advertisements, communications, and information and must make split-second decisions of what they will give their attention to. The measure of successful Integrated Marketing Communications (IMC) is found in the marketer’s ability to break through the noise and effectively reach the consumer. Emerging media platforms – including social media, websites, email, search engines, mobile technologies, videos, streaming media, and more – give professionals a toolbox of resources they can use to build engagement with their audience. This blog is dedicated to exploring best practices in new, emerging media and IMC, and will dive deeper into these points (along with other important discussion) in future blog posts. I hope you’ll join me in this exploration and discovery!